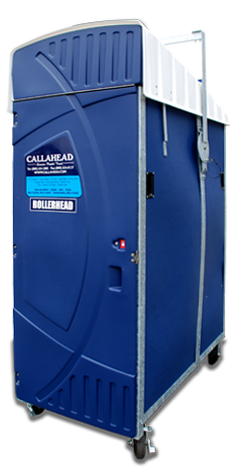 Callahead Corporation is proud to add to our long list of superior sanitation equipment, the Rollerhead. The Rollerhead is the ideal solution for when your job site or special event is in a remote location and/or there is limited space available and restroom facilities are required. 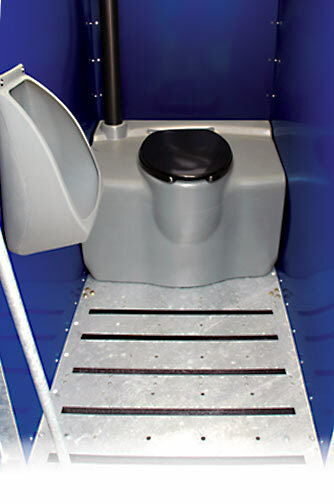 The Rollerhead is an enclosed unit for guaranteed privacy with an optional retractable roof, interior urinal and toilet paper dispenser. The Rollerhead measures only 32” wide and 6.5’ in height so it fits easily in elevators, doorways, high rise buildings, houses, cellars, garages, backyards, basements, on top of roofs, docks, boardwalks, through narrow alleys, gates and hallways and just about any other remote location in need of restroom facilities. The Rollerhead is equipped with four easy-to-grasp hand holds and high quality roller casters, guaranteeing easy maneuverability through tight spots and remote locations. Even if your high rise construction site is not yet equipped with elevators, Callahead’s Rollerhead includes a galvanized steel lifting hoist that hooks easily on to any crane to lift your Rollerhead to any floor you need. The Rollerhead is your answer for those hard to reach locations offering all the benefits and comfort of Callahead’s standard size units with the added mobility you require. 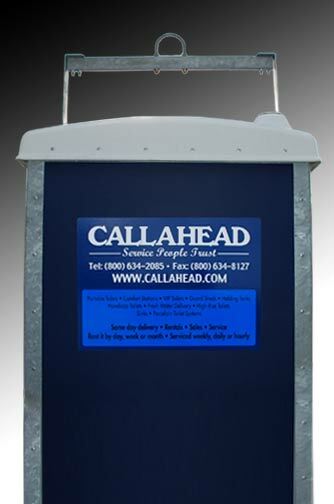 When only the best will do, Callahead! Roof Height in Raised Position: 87.8"